Last time we caught up with music discovery app Pause, it had just arrived on Android following its iOS launch. 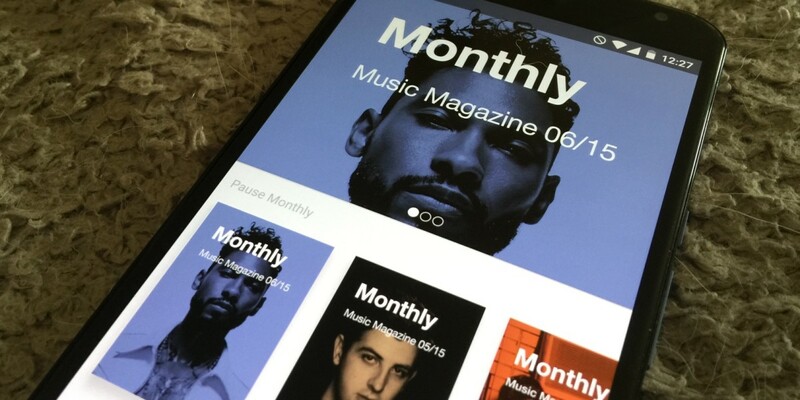 It was evolving into a music magazine, with the promise of platform supporting a range of publishers. Now that platform has arrived. In practice, that means there’s now more content on offer. The Pause team has worked with publications including Drowned in Sound, FACT and Dummy, allowing them to create ‘magazines’ containing written articles with musical accompaniment. So, while reading Joanna Gruesome‘s views about mysogyny in music you can listen to her songs, too. Pause has also created genre guides, so you can listen to Bikini Kill while reading a brief history of riot grrl zines, or an oral history of ‘Enter the Wu-Tang (36 Chambers)’ to a soundtrack of… well, Wu-Tang Clan, obviously. Meanwhile, Bill Brewster, DJ and co-author of ‘Last Night a DJ Saved My Life,’ has prepared a 20-part series on the foundations of dance music. It’s an immersive way to discover music. The spell is broken though when you leave a magazine to return to the main menu and the song that was playing cuts off. Still, Pause, which comes from the same stable as Shuffler.fm, is well worth exploring. The developers want to work with more publications, but will only be opening their platform up selectively, to ensure the quality level is kept high. At first pass, there’s no problem on that front.